While spring took forever to show up, summer is just around the corner. This is one of my favorite seasons. Days are longer, the weather is gorgeous and more importantly I can get out, hit the streets, experience summer festivals, farmers markets and street fairs. I also love that I can get with my sisters and explore a myriad of fun fitness and wellness activities. Below are 12 amazing brands you need to follow that cultivate size-inclusive tribes and cater to the health and wellness needs of Black women. GirlTrek is the largest public health nonprofit for African-American women and girls in the United States. They encourage women to use walking as a practical first step to inspire healthy living, families, and communities. But this is just not any walking or trekking club. Women organize walking teams and mobilize community members to support monthly advocacy efforts and lead a civil rights-inspired health movement. National policy to increase physical activity through walking, improve access to safe places to walk, protect and reclaim green spaces, and improve the walkability is at the top pf their list and a major reason why they walk. Women are trekking across the country and you can sign up and be counted today. Black Girls RUN! was created in an effort to tackle the growing obesity epidemic in the African-American community and provide encouragement and resources to both new and veteran runners. The mission of Black Girls RUN! is to encourage ALL (especially African-American women) to make fitness and healthy living a priority. According to the Centers for Disease Control, 80% of African-American women are overweight. BGR! wants to create a movement to lower that percentage and subsequently, lower the number of women with chronic diseases associated with an unhealthy diet and sedentary lifestyle. The organization is open to ALL women, no men allowed! Join a run today. Welcome to this community of women of color who share a passion for cycling. They champion efforts to introduce the joy of cycling to all women, but especially, black women and girls. Their goal is to establish a comfortable place where female cyclist can support, advise, organize meet-ups/rides and promote skill-sharing. Cycling is viewed as a tool for alternative transportation, self-care and ultimately empowerment. Get rolling today! This full figured dance company specializes in various dance genres such as Hip-Hop, Jazz, African, and Modern. When Founder/CEO Akira Armstrong realized there wasn’t a platform for women with voluptuous curves in mainstream media, she sought out to create the platform. Check out Akira and the girls at their next pop-up dance party and join the fun! This worldwide movement BENT on trashing body image stereotypes through the universal language of dance has accomplished the unimaginable in just one year. They have squads all over the world, not to mention individuals dancing all over the world and sending in their footage every single Friday. The movement has helped women begin to form connection with their bodies, form a community with each other, and offered relief from negative, patriarchal, unattainable, at times crippling body image trauma. Oh! And fun, it’s a requirement. Don’t think you have what it takes to submit your video? 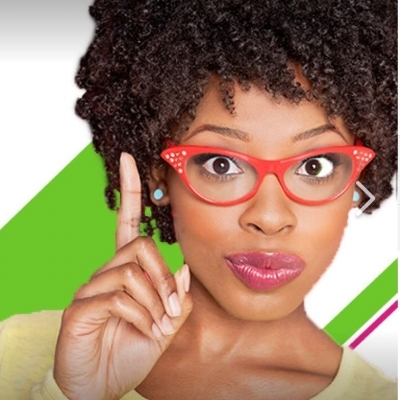 No worries, #FatGirlFriday Live begins next month, June 18th, and you can learn a dance with an awesome choreographer while hanging with the girls and having fun. AND you will shoot a live video. Yep! Lifting weights and each other is the motto here. The studies prove that women need to incorporate more resistance activities in their routine as they get older. And Black Girls Lift is here for all your weight lifting fun. Their mission is to motivate and encourage women of all ages and fitness levels to begin an exercise program or alter an existing routine to include a strength training and/or weightlifting component. Black women are able to connect with each other and with certified trainers and fitness experts. 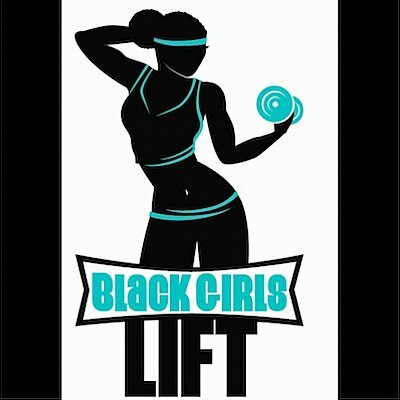 The Black Girls Lift motto, “lifting weights and each other,” truly captures the essence of the group as help you target both the mental and physical strength needed to help you achieve your goals. Their focus and growth has positively impacted hundreds of women across the nation. Lift Up today. Curvy Chick Fitness was created by Celebrity Fitness Instructor Charity Lynette. Most of Charity Lynette's life she was overweight and although playing High School and college Basketball, she still struggled with her weight. The turning point in her life was the surprising lost of her mom due to unhealthy living. Fueling her choice to start a healthier lifestyle and with her mother in mind she dedicated her life to helping others do the same, losing over 100 pounds in the process. Perhaps you have seen her on her “What’s in Your Basket?” television show encouraging consumers to make healthy choices. She is transforming grocery list and refrigerators one trip to the supermarket at a time. Charity works nationally to teach women that although they all have curves, healthy curves is what she wants them to keep in mind. This digital outreach organization is designed to help minority women and girls make well-informed decisions that improve their health. The mission is to reduce the health disparities among minorities and communities with the highest health risks. According to the United States Office of Women’s Health, African-American women face a disproportionate number of health risks. Their health and wellness conference changes everyday minority women into well informed healthier individuals. You don’t want to miss this year’s conference. Black Girl In Om promotes holistic wellness and inner beauty for women of color. They encourage self-care, self-love, and self-empowerment for communities of color. Affirming the consistent, preventative actions that cultivate a clear mind, a strong body, prosperous spirit, and inspiration in one’s environments is essential to their culture. They learn and share wellness practices with one another, and through this work cultivate richer understandings of what it means to be healthy and beautiful from the inside out. #SelfCareSundays is the heartbeat of their community. All levels of fitness are welcome. Join them for their next event. The mission of the Black Women’s Health & Wellness Conference (BWHWC) is to empower Black Women to live optimally healthy lives. The BWHWC is an annual event held in Sacramento, CA that focuses on reducing health disparities that disproportionality affects Black women by raising awareness about mental and physical health. Beyond the Curves to empower women and encourage them that no matter their size, they should embrace their curves because we are ALL more than our curves. This platforms was developed to encourage women to embrace what matters in life; what is on the inside—and not how the outside looks. It is important to go “Beyond The Curves” since everyone knows that no two women are shaped alike—every one of them has her own shape, size and level (or lack thereof) of self-confidence. Every woman, regardless of size, desires motivation and reassurance that they are beautiful. And Beyond the Curves is here to embrace it ALL with each other. Join them at this year’s Women’s Empowerment Conference, Shifting your Mind in October. Since 1983, BWHI has been the only national organization dedicated solely to improving the health and wellness of our nation’s 21 million Black women and girls – physically, emotionally and financially. The vision is that Black women enjoy optimal health and well-being in a socially just society. The mission - to lead the effort to solve the most pressing health issues that affect Black women and girls in the U.S. BWHI does this by taking the needs of Black women regularly through Programs & Initiatives, Policy & Advocacy, and Research Translation. This organization has been on the front lines of Black Women’s health for 35 years and they do what they do because Black Women’s Health Matters. Join the movement here and get connected. It’s a new day ladies. Slowly but surely, the world is recognizing Plus Size & Curvy Black women and their needs. Movements are popping up everywhere to answer the clarion call that all women matter. Check out these sites and take your desired action to live your Best. Life. Now. And don’t forget, Size Healthy is the Goal. Have you grabbed your FREE Self-Care Guide yet? It’s helping curvy sisters everywhere on their Size Healthy journey.